SURREY, BC – Central City Brewers + Distillers has announced details of the second beer in the Central City Sour Series. We’re very pleased with the results of our sour series especially since we went with the traditional Belgian method of souring the beers and using Cabernet Sauvignon oak barrels and French oak foeders. The Sour Kriek II is a different sour in that we infused it with cherries to add complexity to this two-year-old beer. It’s a little more tart with a beautiful cherry finish that marries so well with the sour yeast culture we use. The die-hard sour fans will be sure to pucker up to this limited release as there is nothing like this beer in Canada. 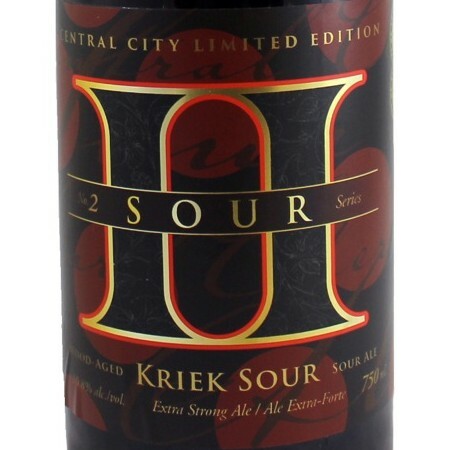 Central City Sour Kriek II is available now in a limited run of 750 ml bottles at select liquor stores in British Columbia and Alberta.